Welcome to 6 HEAD, Sydney’s number one premium waterfront steakhouse. Enjoy the ultimate steakhouse experience in a beautiful appointed dining space overlooking iconic Sydney Harbour. 6 HEAD isn’t just another steak restaurant: It’s an alchemy of many components emulsified to create a magical guest experience. 6 HEAD is for discerning guests who want the best steak and dining experience in Sydney. It’s also for people who appreciate quality, seasonal and uncomplicated food, prepared using cutting-edge culinary techniques. 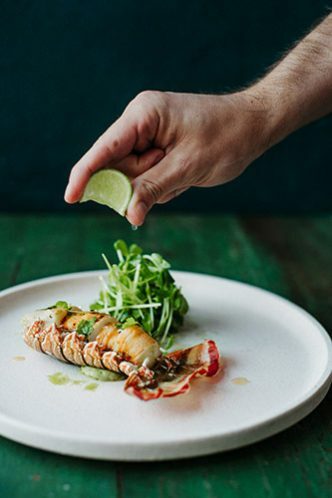 Award-winning Executive Chef Sean Hall’s painstakingly selected menu lives up to this ethos, with fresh, uncomplex dishes designed to allow the produce to speak for itself. In keeping with the signature ‘6Head’ theme, our chef-curated menu focuses on six cuts of steak: rump, rib-eye, T-bone, eye fillet, scotch fillet and sirloin. Working hand-in-hand with respected local meat purveyors ensures the utmost quality in every cut – from grass-fed beef to top-grade succulent Wagyu with an unparalleled flavour profile. Our wine list is also specially curated to showcase six of the world’s best wine regions – Australia, New Zealand, France, Italy, South Africa and the United States – with six additional varietals each from Spain and Argentina to complement 6 HEAD’s menu. Over 250 wines have been hand-picked by Group Beverage Manager Ben Preston for their quality and expression of place, power and elegance to deliver unique regional recognition. Our core focus is on providing an exceptional dining experience for each and every guest. With that in mind, our team of chefs, waitstaff and sommeliers are dedicated to making every detail of your visit outstanding. From the quality of the produce to the ambience of the space, our aim is to make sure your 6Head experience is unforgettable for all the right reasons. Come in and enjoy a beautiful dance of history, design, quality food, wine and exclusive dining at 6 HEAD.